Story: A Civil-War vet, John Carter (Taylor Kitsch) while searching the ancient markings in a cave in the Arizona desert is transported from our world to Barsoom- aka Mars, which is being ravaged by an evil warlo rd named Sab Than (Dominic West) who’s under the control of a race of ancient, all-powerful beings, led by Matai Shang (Mark Strong). Carter allies himself with a warlike race, called the Tarks, which are eight-foot tall green creatures with four arms, ruled by Tars Tarkas (Willem Dafoe) in order to find a way home, but he must also contend with a headstrong princess Dejah Thoris (Lynn Collins) who’s trying to escape her forced marriage to Than, and believes he’s the man to save her and her people. 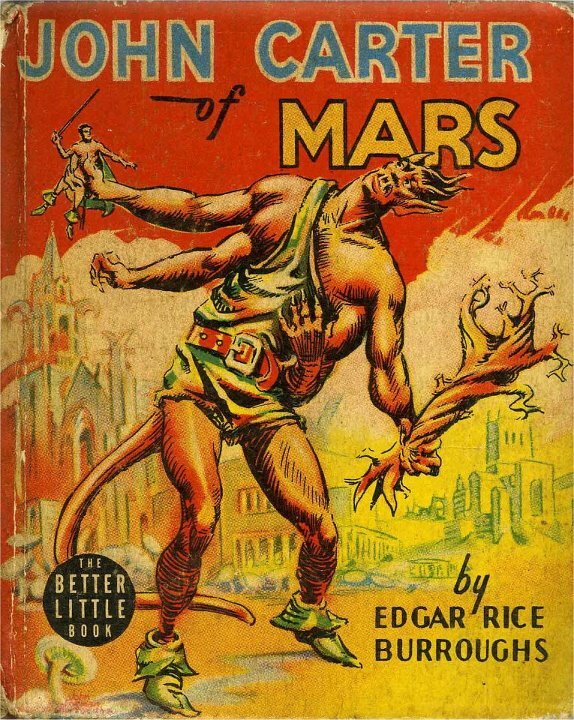 Review: I first was introduced to the John Carter series written by Edgar Rice Burrows in high school. The Ballentine paperbacks cost about 75 cents and had lavish covers by the great Frank Frazetta. His images of the inhabitants of Barsoom have obviously influenced the art direction of the film. The screenplay based on the novel a Princess of Mars was written by Mark Andrews, Michael Chabon and the film’s director Pixar’s Andrew Stanton. The movie begins with John Carter’s cousin Edgar Rice Burrows arriving at Carter’s estate after Carter has passed away. Carter bequests his entire estate to Burrows whom he told bedtime stories of his Barsoom adventures because 1) Burrows believed them to be true and 2) Burrows was his favorite cousin. Burrows is given Carter’s journal where the entire story is done in flashback as Burrows starts to read. The movie is solid entertainment, great CGI, involving plot lines that keep you interested and a beautiful strong female role model in Princess Dejah Thoris. The story is about relationships and allies Carter develops with the Tarks and the Princess as he discovers himself and his sense of purpose after his Jarsoom aka Earth family died in the Civil War. There are some interesting moments as Carter discovers he can jump over mountains because of the weight differences between Mars and Earth and his increased strength as he can hurdle rocks long distances and kill with one punch. Princess Thoris about to lose her home city of Helium is forced by her father to marry evil warlord named Sab Than in order to save her race from certain doom. Sab is being controlled by a race of beings that are not unlike say the Q in the Star Trek series. There job it seems is to manage the death of planets and their inhabitants to keep order amongst the chaos of war. The Republican metaphor for war at all costs and corporate take over and planetary Eco destruction was not lost on me after all Stanton did direct Pixar’s Wall-E.
My only minor complaint is that Taylor Kitsch’s voice wasn’t what you would expect to hear out of a blockbuster movie hero. He sounded too normal not authoritarian enough. If say Charlton Heston’s voice or even say a voice like Patrick Stewart’s were dubbed in ….ah well it is what it is. Will Sab marry the Princess? 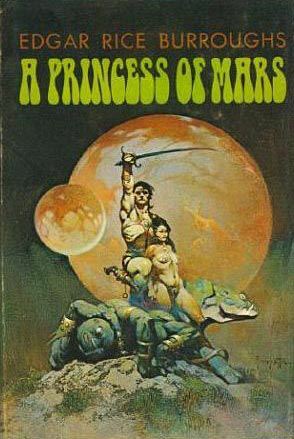 Will John Carter be Barsoom’s savior? Will the race of super beings’ plot to bring down the Barsoomian inhabits in order to protect their secret be followed through? (Yes they do have a secret that controls the energy allowing them to shape shift into anyone or thing) The answer to these and many other questions will be answered when you go see John Carter. Burrows books where known as the John Carter of Mars series for some reason Disney Marketing felt just the name John Carter will be bring the fans in who know the books. Big mistake on their part because people never heard the name John Carter without the following two words “of Mars” sadly the Harry Potter and Twilight generation has no clue who the pre-release trailer was talking about. I hope good word of mouth will get people to go see it. 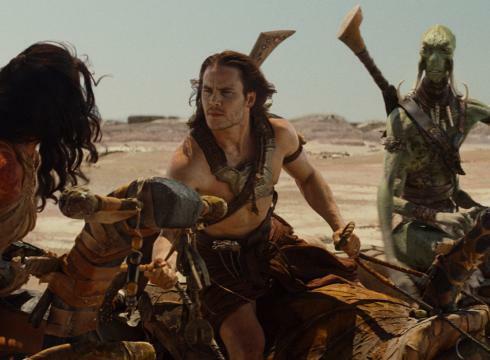 The John Carter Series has been in development for decades. back in the 1930’s Bob Clampett of Warner Bros. cartoon fame (Daffy Duck and Bugs Bunny) did some preliminary animation for a possible cartoon series. The books were written in the Early 20th century and have become cult classics of Science Fiction. Well worth reading and can still be bought on Amazon.